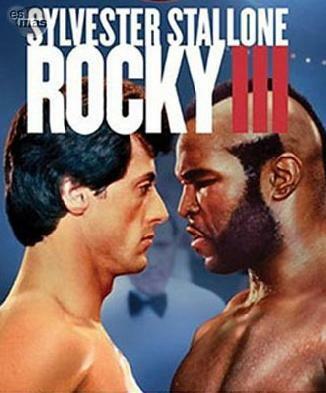 The Movie Mind is proud to present the Greatest Triva associated with the Rocky franchise that has ever been assembled – PART III. 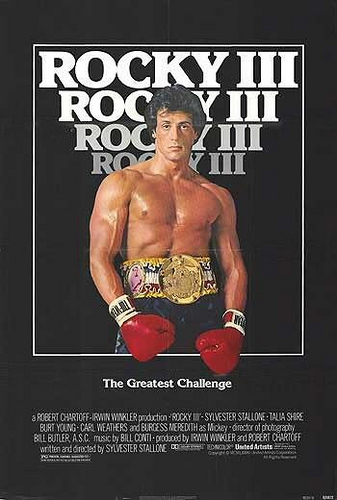 This time the quiz focuses on the most underrated Rocky film of the bunch, Rocky III. Let’s hope your scores are improving as we move along in the trivia series. There have been a number of Rocky marathons on TV recently so you’ve had enough of an opportunity to study up. Remember, this is Part III of the full Rocky series with more still to come. Thanks again to ”A-Lo” for putting this trivia together. After the jump comes Part III of the Quiz series. There will be additional posts for each of the Rocky films so stay tuned and continue sharpening your skills! Please enter your answers in the comments section and then you can highlight the missing text after each question for the answers (answers will only display when you highlight them with your cursor), Good luck! 4) How much does Rocky weigh in his fight against Thunderlips? 202 lbs. you are absolutely correct and thank you for catching that!